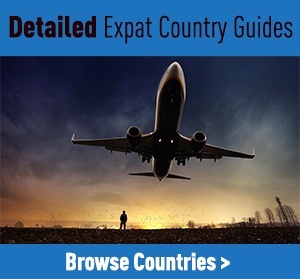 You are at:Home»Around The World»Where Should I Live In New York? Hmmm… where to live in New York? It’s not a decision to be taken lightly. There’s a lot to love about New York. From the dizzying heights of Manhattan’s glittering skyscrapers to the swathes of luscious green expanse at Central Park, New York is vibrant and gritty and chic, a melting pot of rich and diverse cultures. The food is fantastic, the nightlife is thrilling, the arts scene is cutting edge. In short, this is an amazing place for expats to live — and what’s more New Yorkers love us Brits and embrace us, our culture (and our quirks) with open arms. If you’re thinking about taking a bite out of the Big Apple and relocating here, this immense city has an abundance of choice of different neighbourhoods, all with their own unique vibe and character, and depending on where you choose to settle. Here’s our run down of the most fabulous places where you should live in New York, whether you’re single, a couple, or a family. The nucleus of the city, the vast Midtown district is home to many of New York’s most famous attractions like Central Park, Times Square and Fifth Avenue. It’s brash, busy and bursting with excellent restaurants and bars (as well as amazing shopping opportunities) so it’s a great choice for younger singles or couples who love to live it up. Midtown’s Hell’s Kitchen area used to be a den of crime and grime, but these days you’re more likely to bump into a wealthy Wall Street broker than a gangster. This part of Midtown has oodles of charm, edgy boutiques, art galleries and trendy restaurants and bars – making it a good choice for expats. Midtown accommodation is almost always high-rise, and although it’s not as expensive as Downtown or Uptown New York, rental prices are still pretty hefty. The buzzing gay community in Chelsea (located at West 29th Street between Seventh and Eighth Avenues) have helped transform this area of NYC into a chic part of town with glamorous restaurants, bars and shops. Foodies love the Chelsea Market full of fishmongers, butchers, bakers and greengrocers selling quality foodstuffs. There’s also a thriving arts scene here. It may not be New York’s most attractive neighbourhood, but it is relatively quiet with few tourists, and it has great transport links to other parts of the city. The average rental cost for a 1 bed apartment here is around $3,920 per month — around $500 more expensive than an equivalent apartment in Midtown. Accommodation in converted warehouses is common, but due to the larger size of these apartments they are also very expensive. SoHo is reserved for the sleek elite, young single professionals and power couples who can afford the sky high prices — the average price of a 1 bed apartment here is around $3900. Situated in New York’s swanky Downtown neighbourhood, SoHo attracts hordes of tourists on weekends who come to shop for haute couture. The nightlife here is all about fine dining, but be prepared to book well in advance and flash the cash on a night out. SoHo is also a hub for successful artists, and there are plenty of galleries here. With narrow, winding cobbled streets and small boutiques it’s also a very pretty part of the city. Even more expensive than SoHo — in fact probably the most expensive district in New York to live — Tribeca is one of the city’s liveliest, coolest, and safest neighbourhoods. Where do all the celebrities live in New York? Well, a lot of them live in Tribeca (including Robert DeNiro who started the Tribeca Film Festival here in 2011). But aside from film stars a wide range of people live here, and it’s a great place to raise a family – there’s a real sense of community spirit and excellent education options for children. Tribeca is by the river, which makes it a clean and healthy place to live with many outdoor activities. The quaint streets are lined with designer stores, boutiques, chilled out bars, and some of the best restaurants in NYC. A 1 bed apartment here will set you back around $4200 a month. Encompassing New York University, it’s not surprising that many students call East Village home. There’s also a large Indian community here, dishing up culinary delights in restaurants all along the southern side of East Sixth Street. It’s a fantastic location with green outdoor spaces and community gardens, exceptional restaurants, theatres, cafes, and great bars. Apartments are usually fairly basic, but comfortable. Prices vary from the east to the west of East Village, with more easterly properties being the cheapest. Rental property here is very affordable (by NYC standards), with average 1 bed apartments prices coming in at around $2800 a month. Nightlife here is crazy and electric, and there’s definitely a hip, bohemian feel to East Village. East Villagers are a friendly lot, and there’s a good sense of public spirit. Situated in the pricier part of Manhattan, nestling between East Village and West Village, Greenwich Village benefits from an excellent location right in the middle of the action. Artists, students, professionals, retirees, and families all make up the rich tapestry of the Greenwich Village community. It’s an attractive and pleasant neighbourhood. Most buildings are fairly low rise, and the atmosphere is hip and funky, laid back and cosy. There are leafy parks and family run restaurants. There is live music and vintage stores. The feeling is quintessentially ‘Manhattan cool’ and many celebrities including Kiefer Sutherland and Uma Thurman have homes here. If you’d like to join them and be part of the in-crowd, expect to pay around $3600 a month for a 1 bed apartment. Stretching from the East River to Central Park, Upper East Side is a very family orientated neighbourhood. It’s clean, it’s green and the streets are safe. Many wealthy New York families live here. Education options for children are excellent. There are first rate public and private schools, and superb museums and libraries. It’s certainly an upper crust area, and restaurants, bars and entertainments are top notch but expensive. While the Upper East Side is well known for being one of the most costly parts of Manhattan to live, conversely it is still possible to grab a bargain apartment here if you’re lucky. On average, a 1 bed apartment will cost you around $3300 per month. With easy access to both Central Park and Riverside Park, the Upper West Side is a great place to live if you love to live the outdoor life in the city. Just like its sister neighbourhood the Upper East Side, the Upper West Side is safe and clean and attracts a lot of families, as well as a exciting mix of other age groups and ethnicities, and the community is close knit and welcoming. The infamous Bloomingdales store can be found here, and the Lincoln Center for Performing Arts on Broadway offers some of the best musical, ballet, operatic and jazz performances in the city. Arts and culture is a big deal here, and some of the best schools in NYC can be found in the Upper West Side. Living here costs roughly the same as the Upper East Side, but the two neighbourhoods are distinctly different. Right at the southern tip of lower Manhattan, New York’s Financial District is the most energetic and up and coming of the neighbourhoods on the island’s south side. Also known as the Flatiron District, one bedroom apartments here cost in the region of $3700 on average. This is where you’ll find Wall Street and the New York Stock Exchange, and the streets are lined with soaring skyscrapers. During the day you’ll see either bankers and other professionals scurrying through the streets, or tourists, and it can get very crowded. By night however, the Financial District is another beast entirely, very calm and quiet. Compared to other Manhattan neighbourhoods, there is little to do here in the evenings and the residents tend to venture further afield for their entertainments – although that is gradually changing for the better. Phew, those are our top NYC spots! Where do you want to live in New York? You didn’t mention Inwood at the northern tip of Manhattan. Becoming hot place, farmers’ market, good eateries and has a neighborly feel to it. Transportation to everywhere is great. Subway tri p to midtown – 25minures. Co-ops and rentals, quite reasonable.